I've used a few project management systems over the years, but they had some major drawbacks and weren't very dynamic or easy to use. Right off the bat, being a visually-oriented person, I appreciated the intuitive, user-friendly layout of the WorkOtter interface and the ease with which I was able to begin using it. I reached out to the support team to help me get set up and I was up and running in no time - they were a breeze to work with. I'm big on customization so I appreciated being able to tailor the dashboards and displays to my specific needs. My team is small and this system has a ton of features for a small business to benefit greatly, but it also has advanced PM features, which I'm looking forward to integrating as my business grows.Another thing I love are the resource management and capacity planning features - it helps prevent over-allocation of hours and allows the team to easily keep up with their work and track time / statuses. The easy overviews and visual project timelines definitely helped streamline collaboration and communication.I use the reporting functions everyday - reports can be scheduled and automatically emailed to my team and include interactive visuals with really smart analytics. Highly recommend this system - wish I'd found it years ago as it would have made past project workflow much easier. First of all, it has a super-fast and super helpful support team that can guide you through every step and part of the system. So, don't worry at all about possible unanswered questions. Also, the best thing is that you can start simple and then gradually learn and implement their advanced, out-of-the-box PM features.It definitely helped me arrange all my projects in a portfolio, just the way I needed! I can easily communicate with my clients and give them a detailed rapport for each service that I provide. And finally, there is the amazing benefit of unlimited storage to keep all of my current and archived documentation in their cloud, which is a life saver! Team members can easily keep up with work and track time and status. We have the option to build our own dashboards and reports and share them with others. WorkOtter also has a resource management and capacity planning features. There are a lot of cool user management options.Easy to get started with. Our team can collaborate better on the project no and know the status of every project. I've never used a Management Software with my team, so I was very impressed with how easy it was to get things started and customized to fit our needs. It was extremely nice to be able to quickly interact with the team by knowing all of the updates made to our projects and the deadlines that were completed and by whom.All reports of status were emailed to the rest of the team - so even if they were off work, or out of the office they still know what is going on.Our project was very big, so the unlimited storage space was an instant plus for us too! I have used numerous PM software systems and they each tend to focus on certain features. WorkOtter has numerous features which means it makes it much easier for PMs to manage their projects. For example, it has a section to initiate requests, which is usually missing. It has comprehensive resource management and the reporting module is an absolute dream! I could go on and on, but this section has specifically asked for what I like "most"! 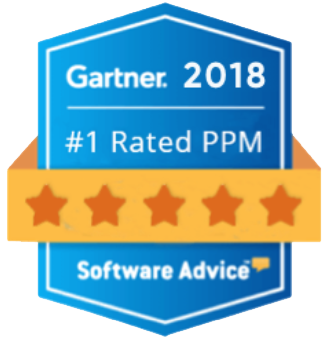 I am a PMP-certified PM and, as such, am really particular about PM-software. I have used industry standard software for a number of years and when one takes a look at WorkOtter, one can see immediately that that one has been short changed. WorkOtter is the ONLY software system that I have used that has features that should be basic in any PM-system. WorkOtter has been great so far! I am usually a bit nervous whenever we pick up a new piece of software to start using, especially with something as critical as project management tools. The WorkOtter support team was great with onboarding and getting the team up to speed relatively quickly.Now that we've got the software set up and have had some time to move our projects over, we're starting to see the full benefits. The email reports have been great and were really easy to customize to my liking.Clean dashboards seem to be a really popular feature these days and WorkOtter's are pretty great. I like that I can keep the information I need right at the top and have other, less important information pushed down the page. Customizing the layout to my preferences was straightforward.All in all, my experience with the software has been great. It's comforting to know that if any questions do come up, the support team is always responsive. My team's view on our PMO forecasting has never been more positive. WorkOtter lets me easily track and manage the assignments of resources while juggling multiple programs and client needs. None of my other tools have been hindered since I can hook right into MS Project and still provide the other reports my stakeholders are looking for. Plus there are some new reports within WorkOtter that give a new view into the allocation without having to re-schedule planning in another tool. Scheduling the reporting outputs into weekly emails is a cool feature and has worked well by eliminating standing meetings that previously took too much time to cover the resourcing status to various directors. Team forecasting has greatly improved since being introduced into WorkOtter, and that saves us from finding out from clients where projects are either over or under allocated. Now we have the views to address needs with much more agility. The sandbox tool for project and portfolio planning helps our teams in planning sessions without having to save off multiple baselines before committing to our selected revisions. I belong to a company wherein using JIRA as our ticketing system is a must. So with the help of this software - WorkOtter we are easily to integrate with JIRA. My company is also timely and deadlines are always a big deal so using WorkOtter makes it easy to plot our work using its feature - Gantt Chart. I am the Senior Project Manager for a Digital Marketing Agency and have been doing project management work for over 20 years using Microsoft Project primarily. The greatest advantage WorkOtter provides is the ability to do project setup once and then iterate through changes to the project plan such as scope increases, new requirements, changes to the resources needed to support the project and even group interdisciplinary projects into portfolios at the click of the mouse. A project manager the ability to take advantage of the automated features of WorkOtter such as data analytics and visualization to show the most critical executive the status of things (good and bad) in a matter of minutes vice hours and days. I love the fact that this software is so much easier to use than other systems I have tried before. It's just so simple to get started with. And whenever I run into a problem and I need help, they have this amazing support team that always answers all my questions. In general, it serves all my team members really well since they can easily keep up with the work and constantly track the time and status of all projects. Another feature that I really like is that management can subscribe to reports and get all their updates via regular emails with the necessary dashboards attached to it. Resource management and capacity planning features. Amazing support team that answered all my questions and really helped us get started. Start simple but has advanced PM features (Issues, Risks, Changes, Status Reporting). Ability to see and arrange projects into a portfolioThis is use a very helpful software and most important thing is it will save our time. The best part is arrangement of projects into portfolios. Another exciting feature is the ability to build up custom dashboards and ease of sharing reports with each other. Unlimited storage for attachments. Another useful feature is the Gantt charts which has very interactive features. And hey it can interact with JIRA which is greatAll the work can be organized in a great way. Easy to keep track of work so that you don't miss out anything. Highly Recommended! Can get information at a touch of a button. Reporting and resource management has never been easier. Streamline of project status from an overall programme level is just so easy. Really enjoy having all the project management attributes in one application.Running a project has never been easier. Reporting is a breeze, and having the information ready for each Steering Committee meeting is an absolute pleasure. This SW automates a lot of tasks and made me more productive in my day to day PM duties. It takes into account all aspects of project management (including status reports, risk assessment management, changes...), and it’s all within easy reach.It's easy to customize menus, columns, and other parts of the environment, and customize to different needs, whether you're a PM, business manager, or a user with assigned tasks. Their support team is really helpful and responsive and resolved the few issues that I had with the application. More integrations needed. JIRA, MS Projects and Excel are offered now but would love to see others. Having used several different PM programs in the past, WorkOtter is the best so far. The user interface is very simple and easy to use offering some advanced features as well. Very easy to collaborate on projects and have reports automatically emailed to users. Great inside reporting features. Just a very good system so far. The system is cloud-based, would have loved if there was an onsite version. But this works regardless and the team loves it. Structured and detailed info management. Clear and simple to use components. Integration with excel, JIRA and Microsoft Project. Great project system for people like me who need simple yet traightforward designed softwares. Scalable, flexible, easy to use compared to other project management systems. This is a great tool for team collaboration. WorkOtter makes it very easy to set up and manage specific tasks, giving all team members the ability to contribute and attach documents with unlimited data usage or and storage. This is a great SaaS system making it easy to use across any platform. It has great integrations with JIRA, MS Projects and Excel but I am hoping to see a few more integrations being offered. Being restricted to saving data on cloud is a down side for me to be honest but I am getting used to it. Very easy to use PM system from the get go. Customer support team is superb. 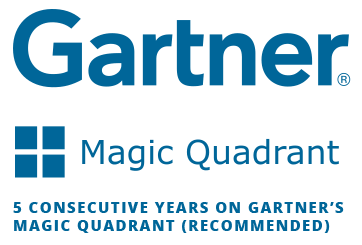 Great performance and great integration with other programs like JIRA and Excel. Simple and customisable layout according to the user role. This system was just what we were looking for when we decided to make the switch from our previous PM system. I am happy that we did! Information can be easily transfered to email. Automatized system for users and their teams. Record of unlimited data on cloud. Communication among users through dynamic dashboards. Advanced features such as risks and issues management. Link documents with no capacity limitation. I speak English, but I would like to have the option to change the system to my mother language, which is Spanish. Possible to manage status reports, issues and risks. Another option for saving would be good for me, other than cloud, since sometimes I don't work with a reliable internet connection. I decided to give WorkOtter a go on a change management project I was working on and it was honestly a great experience. I found it to be a very effective system to operate on, in what concerns usage. The support team was also of big help, since they were always available to answer questions and doubts in this transition. The automation and intuitive aspect of the software allowed our most untrained coworkers to take full advantage of its features while our senior coworkers utilized the opportunity to expand their ideas. I've been looking to change my PM software for a while now when I came across WorkOtter. This system allows you to link and attach documents without having any data cap or usage limits which is great because my team has lots of big files. The integration between JIRA and MS Projects is great because I still have a few projects with those platforms. The system offers interactive Gantt charts and reporting features. The customer support was really really great in helping us with all our questions. Working with many people is a challenge, considering the complications on communication and sharing of ideas and Work Otter has helped a lot on this aspect. Our team found it easy to contribute and brainstorm by attaching documents and using dashboards, which have no capacity limitation. Collaboration of teams is automatized and they can keep up with each other's progress via portfolios time and status, saving searching time. Work Otter is a very fun and dynamic system to operate on. I quite enjoy the oportunity of configuring the display, which makes it appealing for me to use it often. The practicability of using worksheets and dashboards are a pro for me since I like organizing things on sight and having them easy to find and to operate on. Receiving the reports on my email is also very useful, since it also serves as a reminder to work on a specific project. Until now I have appreciated it very, it has had me working more effectively than many other systems I have tried before. WorkOtter has been so much easier to use compared to other systems that I have tried in the past. This system is great for persons who are just starting out in project management as it starts simple but offers some really advanced features. It offers integration wit JIRA, Excel and MS Projects and also gives the opportunity to link and attachment documents with unlimited storage and no data caps. tools for generating reports grants us a broader view of deadlines and terms, which is crucial for meeting our agendas and viewing our gaps. Engaging on creating dashboards was something we encouraged on the company after we started using WorkOtter, we found that because of the clear and responsive interface it was dynamic for everyone to provide an input on different subjects once their were visible and accessible. I have nothing to add as a con for now. We would actually really like to skin the app, in search of more. I work with a team of senior and junior analysts so the intuitive interface that WorkOtter provides facilitates the work of knowledge multiplication and sharing of ideas. Being reasonably priced I was able to expand it to our other facilities and the team could use it to share their projects to each other more efficiently, due to the superb cross-project visibility, best practices were used among them. I can definitely point out the timesheets, reports and customizable dashboards as a positive feature, the visibility of information are to our team are as important as the content itself, so it took that on our advantage. We have facilities around the world, I would like to suggest the app for our other sites, but English is the only language available. Â¿	Fresh and smart design, Â¿	Easy to create a project and generate tasks, Â¿	Assigning roles and changing users' permission level is simple, Â¿	Great support team, Â¿	Improves and facilitate team collaboration, Â¿	Simple to customize the displays, Â¿	Able to create portfolios. With this system you're able to manage Gantt charts and it offers some interactive features. You have the ability to configure your displays and dashboards can be set up according to the user's role. The reports can automatically be emailed to users and teams can collaborate on projects. Overall this is a good system to have. I wish there were more languages offered. Currently English is the only supported language. But it does work good enough to get tasks done. Project Planning, Resource management, Easy to see the progress Easy to move deadlines, Portfolio creation. Easy to use but we would love to be able to skin the app - sometimes it's very nice to be able to manipulate the colors and overall look and feel therefore customizing skin would be the great feature. Since I work with 4 different product categories in my company, the aspect I like the most about Work Otter is the ability of building project portfolios according to the category or work force I am working on for example. Before purchasing this software I had the chance to have a free live trial, the team was very supportive and patient showing all available features. WorkOtter was an affordable ppm considering the other options I had in hand. WorkOtter in available only in English and I have employees in other countries, they understand English but not really well. It would be good to have it available in other languages. Work Otter has a clean and straightforward interface, with interactive visuals you can customize inside the reports. It also presents an excellent array of features for project managers and support for integrating other tools like Excel, Microsoft Project etc. It was nor complex at all to get started with and the whole system has a clean and up-to-date appearance, very intuitive which made it easy for me to figure out the basics of how to use it within a few minutes. Best PM system I ever used. I would like to have local storage options, the only storage option currently available is Cloud and I am not really sure if this will work forever. As a user i can manage my own dashboard and tailor it to what I want. All of us as team members are aware of the progress of the project at all times. Communication is never lapsed. This software keep me on track on all my projects that I am working on. It keeps me organized, efficient so that I could finish my project on time. Accomplishing my work with WorkOtter has never been easier. It is so user friendly, and planning and scheduling can be done in a jiffy with Resource Management. One of the best features is Microsoft Project integration because I could download my work directly to Microsoft Excel. I simply love the functions of WorkOtter and there is nothing that I can think of needs to be improve. However, it would be great if there are more than one language to choose from while using of the software, in the event that people from Asia would like to use or purchase the product for business. Well, me and my team used to manage all our projects with MS Project but the integration with Jira never worked quite well so I was looking for a different solution and I had a very positive experience with WorkOtter. Something that really surprised me was the support team, they were amazing and helped us out during the entire transition process which was a great deal as my team was overloaded and could not leave their daily jobs to work exclusively on this software transition. One other thing that seems simple but was a big deal for us is that WorkOtter send reports to users emails automatically. We have to do that a lot during the day and it saves time. I am from Brazil and they support English only. I already mailed them with this suggestion but no ETA yet. If you're looking for a project management platform that doesn't require months of set up and data migration this should be your first option. When I first tried WorkOtter I needed a tool that my staff could understand and jump into it within a month. I had great support from the development team, they were really helpful and efficient. To make the transition easier I customized the displays to look a little bit more like our previous software and it was an awesome quick off... I found it helpful that I can also build my own dashboards and different reports to work with the team and easily present the progress and status on management meetings without having to "massage" the data for hours to have a clean, complete report. Supporting a team spread between India, United States and Brazil is not easy and I had a hard time getting everybody on the same page but Workotter was the perfect tool to fix this gap. All dashboards are customized to the user's role so I can determine exactly levels of access, views, authorizations I want them to have, this way I protect the data and ensure a safe environment. Something I noticed a huge improvement is the project overall tracking. All my Team members find it easy to keep up with the assigned activities and have proper tracking of each project status and time and resources spent. Everything is great so far. What I like the most about Work Otter is how simple and intuitive it is to work with and I am saying that compared to all other systems I've tried before. Overall it can be simple but it has advanced features that come in handy for a project manager, features such as status reporting, risks mitigation, changes to the project etc. Another feature that made a huge difference is that I can subscribe to a certain report and WorkOtter sends me regular emails with updates so I don't have to log in all the time to see what's happening to my project. This is a capable project management and work management tool that comes with several excellent dynamic features for helping teams work on projects through completion. What I like the most about this PPM is that collaboration across the team increased after WO was implemented. My team is able to keep track of work, track time, provide status and share documentation, we no longer have files in different places and different version which is something that help us avoiding errors due to wrong data, avoids rework. Gantt charts are easy to set up, view and edit, as a PMO this is crucial and I appreciate how easy it is to work on Gantt charts with this program. My company is managed to get the most valuable resource for the right project. WorkOtter helped us easily assess how well we utilized our entire resource pool is on an hourly, daily or weekly basis, helping us to ensure our most valuable resources are used to maximum effect, and our workload is balanced to avoid sustained periods of time on the bench. As a head of PMO, improving project delivery of my Project Managers which helps reduce project cost and increase profit margins. Secondly the report and dashboard method of reviewing information and viewing the current status of operations provides a significant opportunity to make our business more efficient and quick to respond to issues and opportunities. Personally we love the integration with MS Project and JIRA, however would like to see intregation with Basecamp. This company offered an amazing support team from the get-go; we had all our questions answered which really help get us off to a great start. I love the fact that reports can automatically be emailed to users, integration with other software such Microsoft Excel, Microsoft Project and JIRA. Overall it was easy to get started with and offered great reports. Currently, the only language supported is English. I have a few persons on my team who are not English speakers. Simplified way to track and get project status updates and completion rate. - It's very easy to customize, it lets the user arrange information as preferred views to help ease the tracking of information. - Projects require a significant amount of documentation to support the tasks, to be used as reference information, for audi. - Software layout and design is a bit plane in comparison to other software for the same area. - Information can look a bit cluttered when browsing thru the tasks dashboard and Gantt view. WorkOtter is a feature-packed, user-friendly project and portfolio management application, great for any business looking for an easy way to gain visibility into their program or portfolio of projects. I really like the scenario analysis tools that lets a manager evaluate how changes in schedule play into resource availability and constraints. It makes things go faster, smoother and more efficiently. * Complete program with simple and advance features like risks, changes control, issues and more. * You can get interactives features like reports and Gantt Charts. * Personal confirguration of the displays. * Integration with Microsoft Project. * Documents can be link and attach with unlimited storage, and also can be mailed to different users. Top performance, saved time and money! You can make your own detailed and specific report by being able to manipulate data as needed and receiving the information to be at our top performance. At the same time takes the weight of one's shoulder because it really does it all for you, saving me time and money while creating a perfect plan for my company. Easier to make my team understand the tasks to be done and also make the communication with the share holders more simple. The software is very light so it good in any machine. Easy to use, any one can use it and understand the steps for a good project management. I'm a PMP certificated and could find every thing I need to manage my tasks. Would recomende this software to any one who is thinking about planning and executing a project. The easy tracking of resources, customize depending on company requirements, the status of projects based on PMP processes and the automatic sending of emails. It will be useful if we could attach files in the activities of WorkPlan and if we could upload templates. This software transformed how our supply team handled our projects, this has given us complete control of each activity, and increased our productivity dramatically. 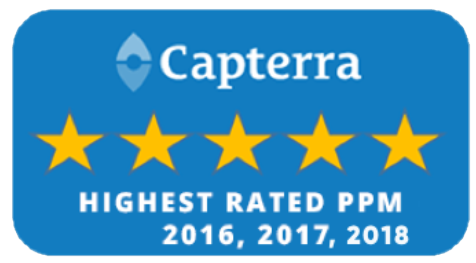 So, this program has done more for our company than any other that we have tried in the past. WorkOtter is a complete project management tool, it has a simple user interface, much simpler than some other of its competitors, but is also has advanced PM features as well. You can customize it to look basically just like you want it, if you want, you can arrange your projects in a portfolio, for example. Any PM tool needs great storage as well, and WorkOtter gives you unlimited storage so you can link and attach documents without worrying about size. You can assign tasks to other team members, and you can easily check status and track activity times as well. So, this is easily the most complete, user friendly and usefull Project Management tool I have ever tried. Definitely recommend it. I like that WorkOtter provides the ability to see the higher-level overview of projects/programs, resourcing, and financials - it's all integrated so you can see real time where things are. WorkOtter has great dashboard views that you can easily drill down into to see specifics. The Workflow is really helpful. It also integrates with MS project and other PM tools which is a plus. WorkOtter allows me to manage projects but also plan and forecast - easy to do what/if's scenarios and to see how different scenarios impact resource planning. I am both a manager and a project manager - I like that this tool allows me to see both the micro and macro view of where my projects and team are at any given time. Not too much, I like it a lot. If I had to pick an issue it would be that it is dependent on the quality of that inputted data - but that is the case with any tool like this. I can easily keep track of the tasks, issues and risks. It also makes budget allocation very easy. Instant sharing and cloud platform makes it a very easy, efficient and handy tool. The thing I like most about WorkOtter is that it is cloud based and so it can be used collaboratively within a large group without any issue. And that enables real time update and tracking making it very efficient. Tons of necessary features like interactive dashboard, gantt chart, PM features, forecasting, budgeting etc makes it a must have tool for project management. The dashboards are tailored to type of user, customizable reports, instant sharing, automatic distribution are some of the most desired features. Compatibility with excel and microsoft project is a big plus. I am using it for about two years and really satisfied with it. A great one stop shop. I am able to be even more organized as a consultant. I have a Master in Project Management, I apply all the Project Management principles to all my projects as a Management Consultant. I love most of all that at the clip of the mouse I can analyze the risks, cost and resource plan of my project....in addition, I can also see the progress of multiple projects. This software is a combination of all the PM software out there....inclusive of msprojects. I intend to use this software to do my work. I need training from the developers themselves. To train the staff in Jamaica. That would be great for our company as we are a part of the government sector and we need tools like this software being used all over the country to assist Project Managers to run better projects in all public sectors in Jamaica. project, portfolio, and resource management doesn't have to be difficult (or expensive) with WorkOtter you can get started quickly , manage all types of project, and build/update your own reports. Everything is a breeze in WorkOtter and the people are great.This software is very easy to work. work to be softly complete. Very versatile and EASY program (at least that i have used in my experience as a PMP certified PM) to track like a road map your task on projects, sort, pivot, and filter tasks, engage and compare stages of your project. One thing i liked is the ability to play with "what if scenarios" and see how that affects cost, times, etc overall in your project. You have tons of great analytics to use, Gantt charts, Critical path, heatmaps, matrix, time bubbles... ohhh! and dont forget this can be Integrated/export/import with/from JIRA, Excel and Microsoft Project! All reports can be also emailed to users. Some features might need updates as new updates are added/edited by Project Management Institute. Missing the updated software or new patches part. WorkOtter makes the complex tasks of project management very systematic and easy to handle. The interactive visuals and reports have helped us analyze our day to day project progress and share it with the team members. The dashboards are tailored to individual user roles and hence it helps us keep our data secure and also makes it easier for our staff to access information that is relevant to their role. Our project team can easily track the project status and timeline without having to depend on each other for updates. I have used many project management tools but WorkOtter is very easy to get started and integrate with platforms like MS Project and Jira. I highly recommend WorkOtter for companies requiring project management, gantt chart analysis, and documentation storage. They can add colors more appealing to look at. Very good project management software with great support. Workotter is an extremely effective platform for streamlining projects and workflow. The platform offers a variety of features including to-dos and milestones, which help large teams stay on top of deadlines. It also lets you choose which specific team members or groups should be included in each project or thread. I really love how simple the tool really is, with that I mean, if a have a new Junior PM or Project coordinator in the team, will be easy for that collegue to get into track very quicky, is not like other tools where you have to spend hours and hours in training. Next to that, the tool also provides with amaizing advanced PM features that allows me to have everything under control, create reports, update status, check changes and all that. Another great part of the software is how interactive the reports are, as a Project Manager i am always looking to provide with information in the most simple way possible, WorkOtter allows me to do that but without leaving behind the visual and interactive side of it. A project usually mean time and time will ALWAYS mean money, one of our favorite tools as PM in order to have time under control are the Gantt charts, WorkOtter offer me a great variaty of interactive features in order to make my charts more useful and correlative at the same time, is incredible the amount of information that you can get from a good structurated Gantt charts, thanks to this tool now I can provide the status to the folks almost everyday without spending hours updating the chart and the info. I will like to been able to personalize the user guide interface of the software according to a specific project or company, this talking about branding and marketing. For example, when I am in a meeting been able to personalize the reports and tools. You'll find all sort of tools that promise to help you improve your productivity and a huge list of methods for tracking tasks. User-friendly. It's very affordable, especially for small teams. Its simplicity, certainly it has captive my the team. They've all adopted this methodology immediately. Workotter allows us to collaborate daily in a virtual way in the joint projects, being able to assign different tasks, to know the state of its progress, to hold conversations, to give us constant feedback and finally to see those that have already been completed. Should be available in different languages though. In addition, I think visuals and the board's structure should be improved. It's excellent ability to manage Gantt charts with all the interactive features which can be broken down by job units such as I.T., Marketing etc makes the software quite effective. Plus the software also has a feature that allows team members to easily keep up with work and track time and status of projects to be completed. The coolest feature is its integration with JIRA, Excel and Microsoft Project software (2-way). This system is hand's own the easiest to use. Fully functional project management software that can be integrated with MS Project & Excel if needed. I love that there are customizable, role specific dashboards. It means that everyone see exactly what they need to in order to get their job done. The huge variety of report types to choose from, their interactiveness and the ease of automatically emailing them to team members is a huge time saver. Overall, projects can be easily set up but as the project grows you will be able to take advantage of all the higher level features you expect in PM software. For anyone who is not familiar with this type of program, there will be a slight learning curve but that is to be expected with any new software. My job is easier.It looks simple at your eyes but it has very advanced features that allow you to manage what really matters: issues, risks, changes and status reporting. I can do really cool interactions since it shows me everything what's going on in my organization. Very interactive and visual software that allows me not only to see and arrange my projects but to build my own dashboards and share them with other people from my organization. This is the kind of tool every manager requires. Not only it automates team collaboration but it can also be integrated with JIRA, Excel and Microsoft Project. I liked every single aspect of this software. I think it meets the requirements that every manager needs to have in order to manage, control and share the company's projects. Team work made easier and effective! I am very satisfied with this software, I had no idea it would be such a great match for my team. I was looking for a tool that allowed my team to keep track of every tasks on our project and WorkOtter was a great choice, the team adapted quickly and I was able to track their status as well as time. Another great thing about it is that is super easy to build Gantt chart with all the features the tool offers. Also, since we work with technical drawings and product packaging arts, our files are usually really large and with this software, different from the one I had previously, I can attach these files without worrying about the size limitation! Anyways, pleasantly surprised and highly recommend WO to anyone. Knowing that I can track my projects on a weekly basis. I love the efficiency and how it's easily integrated into my business. When I use it, it makes me on track with my current projects/portfolios. I also love the unlimited aspect of space to use. I become more effective, my daily activities easily and track my team become easily too. To be an outstanding project manager professional (PMP) I only use excellent tools. The most important thing WorkOtter gives me was the easily way to integrate with Excel, JIRA and Microsoft Project (2-way) and the other thing was that the reports can be automatically emailed to users, YES!!! (automatically!!) , amazing!!! love it!!! This makes my job more effective. Thanks for developing a tool that helps me so much! GOOD JOB!! It is a user-friendly software to work with. I would like to mention that the dashboards integrations are great and the way how you can monitor and track resources is great. Was able to keep tabs on who does what and how much time, plus effort they put into their work. So easy to keep tabs on things like reports being quickly available making workflow so much easier. Management resources, portfolios, tasks, projects all organized within one software and being able to share work and build teams. Wow! Is really good for a project manager looking to be more efficient and above all making sure that everyone is doing what they have to do and that deadlines are being met. Its highly configurable (I can readjust fields and UI according to my preferences). It's very sophisticated and basically, contains every feature I need as a project manager in one place, yet it's easy to use and has a very straight forward user interface. I'm very happy about finding a tool that can truly support collaboration across different teams in our organization and make information available in organized and efficient ways. WorkOtter can also be integrated with other platforms such as JIRA and MS Project. I believe the colors (design) could be a bit lighter to make the platform look and feel a bit nicer. First thing I noticed with WorkOtter was the aesthetics of the homepage. Even better, you can configure the display if your eyes weren't as please as mine. User friendly , quick Project management tool. Dashboard : very user friendly.. all in one place. Click of a button , linked to all flows such as various projects, filters, estimates, Milestones, Resources, Staffing , Capacity planning. Program Management and Portfolio Options are a big plus in this software. Portfolio is like a Roadmap clearly showing start to finish and how the resources are consumed. For UI experience, Color coding making it very friendly. Reports Module - this has tons fo reports where we can see and select the desired reports. In summary, a perfect tool for Project manager, cost effective. Our company was looking for a good priced PPM solution which would allow growth. We got our foot in the door with resource management and expanded quickly into full portfolio management. Implementation was a breeze. Seems like WorkOtter is everything needed as a project manager to make your job a bit simpler. Overall, the system is understandable for beginners and advanced users. There's built-in reporting and portfolios (which is great for resource management). Although I work in Project Management, it's great for all departments of a company, which makes it a diverse tool. While searching for a management tool I came across WorkOtter. I was extremely interested in it's ability to automate team collaboration and let me have control over my own dashboard. It was so easy to set up and easy to use, which was a huge bonus! Also, my team loves Gnatt charts and the ease of flow really works for us.Ease of use. WorkOtter allows us to actively manage our projects and it has rich functions available to customize, create, and track any and every part of the project from every stage. It is used in any sector that needs project management. It really hits the nail on the head when it comes to resource management and organization. It also has a custom feel because it can be tailored depending on the customer sometimes. This aids in productivity because it is adequately sets up the system for our company's needs. As far as usability the product is great because it it simple and easy to learn. The tool is also great because it can integrate with Jira and MS project. We have several teams that use JIRA and MS Project and the integration makes it easier for our productivity. One of our favorite features are the dashboards because it also helps identify issues quickly and get to the really meat of the project faster. We have worked with several different PPM tools and WorkOtter is definitely one of the best products for PPM out there. It really hits the nail on the head when it comes to Portfolio management, Resource Management, and organization. It also has a custom feel because it can be tailored depending on the customer needs. Furthermore, the integration between JIRA and MS Project is a plus because they are commonly used in many companies. The graphics are good, and I realize it is an incredibly dense program, but even more enhanced graphics and general layouts would help from an aesthetic standpoint. This is perfect for organizations looking for an all-inclusive enterprise level project management software. It's flexible enough to accommodate different roles and responsibilities. Different individuals on the team have dashboards that cater to their specific function on the team and on a project. The software also does a really good job at people resource management. I value the view that shows time allocated vs. overall availability of members on the team. There are business metrics built in that senior management will find very valuable in determining the overall business value of projects. Great for teams who want a sophisticated project management experience and flexible enough to accommodate all types of projects. WorkOtter exceeded my expectations! It is a very complete and easy to use project management software. As a project manager I am always looking for ways to add a visual aspect of projects to share with my team and with WorkOtter's dashboards I can make this happen. Role management is also a great way to keep my team organized and focused on only the data and elements that they need to see. The resource management tool is a lifesaver. It allows me to track my team's utilization as well as scale up or down the resources I need to get any project completed on time and under budget - without burning out my team members. MS Project sync is another excellent feature to get a project started in WorkOtter. I can work out the details I need regarding my project privately via MS Project and then upload it to WorkOtter so that my team can view the plans, resources and budgets as needed. The option to continue working in MS Project or switch entirely to WorkOtter is valuable and seamless. I also find the ability to easily create custom reporting on the fly a feature of great importance. Quite frequently I am called upon to present timelines, budgets or resource constraints which makes it helpful to present data in an easily readable format to my customers or executives in a timely manner. WorkOtter is a great tool in a market of sub par competitors. If you are a Program /Project Manager, Solution Designer or Developer, WorkOtter will help you stay on track and remain informed of your responsibilities and those of your team members. The dashboards are easy to create and full of valuable information. The role management capability is crucial to managing resources and budgets. The governance model helps team members understand the work flow and how things get done. The software needs to be more flexible to integrate with 3rd party solutions outside of MS project. There is no way to track time inside of the application via timer. WorkOtter is great cloud Project Management software. It provides you with program management, financials, resource management and it has Microsoft Project integration which is great feature. WorkOtten has a dynamic dashboard which it is easy to use and you can be up and running in no time. IÂ¿m very pleased with this software performance. Features and Functionality (4 Star) I think there was some really unique and needed capabilities provided by the software. Sandbox to Production is a very nice feature when looking at an overall view of current and scheduled projects and the ability to see different scenarios prior to making public. Planning and scheduling seemed very easy to use along with Resources. Ease of Use (4 Star) While the video did not show all the features, the ones show pertaining to Portfolio, Project and Resource management seem to be easily understandable and relatively low training requirements for new users. The sync between MSP and WorkOtter was a nice feature, however it didn't appear to be a live sync and the user would need to upload/download/upload back and forth seemed to raise the question, why use this if I can manage in MSP it didn't drive home that it would be a solution to no longer use MSP and a phasing-out solution could be used in this way. I think most users are looking for a 1-all solution, to avoid different groups using one management solution while another group uses a different one. WorkOtter is the ideal project management tool. It empowers the project manager and his entire project team. It was designed with a system of systems engineering discipline but is also fully functional and feature rich in its own right. I am a systems engineer and project manager and appreciate the fact that WorkOtter lets me look across many projects in one tool through its ability to interface with other project management tools such as Microsoft Project. The flexibility of WorkOtter to manage a linked project in its host environment or in the WorkOtter environment provides a valuable service to any project manager. Overall, the tool is set up respecting industry standard processes and methods which gives it an authoritative feel. You don't feel as though you're cutting any corners.However, it's also customizable so you can tailor the tool to provide only the functionality you need by simply not activating some choices on a project by project basis. By far, the best feature of WorkOtter is its superior ability to communicate across projects, people, and organizational boundaries. Communication is the key to success in running any project and WorkOtter enables success as a communication tool. It is great to have multiple projects set up within an overall project in portfolios. The dashboard shows exactly what needs to be taken care of (due and past due) as well as any issues that have come up. A great prioritization tool for PMs. Integration works well with MS Project and Office365. Easily tailored without having to customize software. Built in reporting easily to chart and manipulate. Helpful segmentation. By people/roles/resources. What-if scenario tool is helpful before employing into live view. Missed milestones. Risks. Forecast v Utilization provides an at a glance look of needed areas of improvement. Much easier to use than others: getting started and maintenance. It's a little nit picky, but the colors of the charts. More muted colors or cooler colors are more visually appealing. The dashboard featuring past due, due or high risk needs. WorkOtter is an absolutely amazing product. I love how I can do everything in one program. It's easy to use and you can customize it to work with your unique business. Not to mention that it is affordable too. Customer service is awesome! Its hard to find a program that works and has great customer service. WorkOtter did both! WorkOtter really takes into consideration all types of projects. The dashboard is visually appealing and easy to navigate, allowing for quick status updates. Plus it's customizable based on your role in the organization. The user/resource management piece is most useful for my organization. Many systems allow you to assign resources, but WorkOtter is unique in that you can import your org structure into the system, creating a whole new level of resource management. My favorite part is the ability to build or import templates and tools. As a Certified Project Manager through the Project Management Institute I always go to PMI to find templates that are relevant to my project. Having the ability to import these templates directly into my workflow is a huge benefit for me. I would highly recommend WorkOtter for any project, large or small. This is next level management. The resource management is incredible because it syncs with your org structure. The levels of project vs. portfolio management is helpful for a high level overview and displays nicely on the dashboard. The ability to import custom templates and tools is my personal favorite. There are so many features you may not use them all, but they're there when you need them! This application elevates the concept of dashboards to a new plateau. Not only can you view key performance indicators (KPI) from a role-based perspective; the user can expand to an organizational perspective with the program and portfolio dashboards. One of the biggest challenges to any project is resources management; particularly when the business unit has limited resources. Through the Human Resources view, WorkOtter provides executives with the ability to make pro-active decisions regarding talent and budget. From initial introduction to WorkOtter you can tell the creators put a lot of thought into the interface and the ability to run several projects at once with relative ease. I found the interface and main dashboard very user intuitive and very responsive when making edits. As someone who has used several project management software systems in the past (Basecamp, Confluence, Jira, Harvest, Workamajig), WorkOtter has advanced options when it comes to pulling productivity reports and seeing real time project data. I like that based on the user, you can be more than one project owner or status (aka PM on one, creator on another, etc) which allows for different access and views. If I had any critique at all, it would be the colors of the charts (red, yellow, green) being rather primitive but that is a quick fix or maybe still in beta. The ability to manage all types of projects and portfolios in one interface is extremely valuable. Creating customized ongoing reports is a breeze and extremely valuable in the business I am in. Excellent project management tool! I love that everything is easy to use and understand and that I can manage all of my to do's in one program! The company representatives are very kind as well! The all in one management style. I love that I don't have to use a dozen different programs to manage my projects. Price points are affordable and create valuable options no matter what the business size. The clean platform gives you all of the information you need and none of the fluff that you don't. Customization of dashboards allows you to focus on your companies most important KPI's and easily track projects to determine prioritization initiatives and workloads. Would like to see more connectivity with LMS platforms to integrate more data. I've been looking for a user-friendly, high-quality PM application for quite some time. As a practicing PM with multiple (too many!) projects going at the same time, Work Otter offers tools to manage resources, timelines and budgets easily and quickly. The user interface is easy to navigate and easy to interpret and the reporting function is awesome. I also LOVE the fact that it interfaces with MS Project. I'm looking forward to making my life easier and completing more projects more efficiently! I can't begin to explain how helpful this software has been for my business. I have used many project management tools in the past, however, this one in particular is life changing! I own a Professional Services Agency and work on many different projects at once. A challenge for me was managing my team on a large scale. I needed to see what was happening at all times on each project and this Software has become our solution. We're now able to communicate via WorkOtter and I no longer have to wonder if things are getting done and what the status is on each project. As an entrepreneur, I am a big believer that time is of the essence and if you are looking to save time, this is where to start! It is a lot more complex than other project management tools, however, once you get the hang of it, it is really easy to use! It helps me manage my team and projects. It's very complex. Has a lot of features but once you know what to use, it gets easy! WorkOtter is a great software program! Very easy to use to keep track of projects and maintain reports. I would highly recommend this to other project managers. The cost of the product is amazing for everything you get with this program! The software is helpful and easy to use. The collaboration with other software has reduced time required to perform Admin task. and to convert. The layout is easy to read and easy to customize. This software will certainly help keep the team aware of the various stages of multiple projects. The team members will also be aware of the task and duties they have to manage. Another great part is this software is great to use if your small and only have 1 or 2 projects or if your large and have a great deal of projects going on. Plus the price point is great. The easy to use and convert ability. With over 30 years of experience in IT project management, in every role from team member/developer to managing multi-national programs, I can say that WorkOtter is one of the best products I have seen. As a web-based product, WorkOtter is immediately cross-platform solving one of the largest problems faced by large-scale integration or development projects with nearshore and offshore resources. The interface is simple without being simplistic, and the product is feature rich. WorkOtter offers numerous integrations out of the box, and the pricing can't be beaten. Two key features I particularly like about this product are the heavy emphasis on templates and the workflows that are built based on practical experience. WorkOtter derives from the knowledge of project professionals. WorkOtter is an easy to use program to help you keep on top of all your projects. Customizable to meet your needs depending on the scale of the work involved with multiple goals and objectives to track progress. Users are able to update their progress and statuses so you can see where everyone is in relation to the overall project goal. The price is great, the features fantastic and it streamlines your complex project into easily manageable pieces that you can adjust as necessary. I was introduced to the WorkOtter software as a way to manage the complexities of managing projects with multiple moving pieces in a browser environment. The dashboards are simple to understand and reliably function as intended. For me, reliability of software is an important concern, and this software appears to be reliable. Having worked on multi billion dollar projects, I can appreciate the need for top level views of performance of various areas, and WorkOtter provides clean and crisp graphics to give project managers and organizational managers the analysis and insight that are needed to maintain a project's budget and scheduling requirements. One of my favorite parts of the WorkOtter software is the integration with Microsoft Project. The ability to have an immediate graphical representation of the budgetary and scheduling impact of work done in MSP gives valuable insight to project management teams. Thank you for introducing me to this product. I will be sure to recommend it to my colleagues in need of such software. I appreciate the integration with Microsoft Project. This allows users to capture necessary detail beyond what a browser based project management tool can offer. I would like to be able to group organizations and view metrics such as CPI and SPI for these organizations and sub-organizations. It would also be nice to have integration from costing software such as Deltek Cobra. It was easy to setup and simple to use. It is great for a company with people in lots of different places. It also has the ability to restrict access in different ways when projects need to be limited to certain users. We needed to use it in ways that are probably not typical but found their support team to be very helpful. Unlikely other software we are mandated to use, it is nice to have software like this that is user friendly.